Comfortable two level gîte in peaceful Drôme countryside. Charming interior décor and private garden below dovecote of 15th century farm-château of La Roliere. Good central location, between valley and hills, Vercors and Provence - ideal for exploring in every direction. Montvendre, Chabeuil and town of Valence just a few minutes away, as are golf course, horse riding centres and many hiking/riding trails. Good food and wine, charming villages, rivers, lovely scenery, outdoor activities ... enjoy a relaxing, reinvigorating holiday in the Drôme! Ground floor: living room with fitted kitchen area overlooking garden. 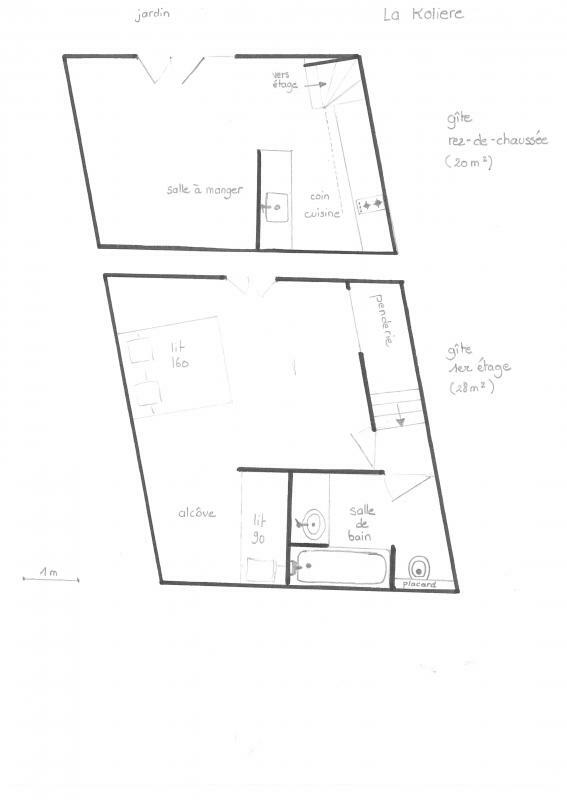 1st floor: large bedroom (queen-size bed or two 80cm beds) with alcove (single bed), bathroom. Beds made on arrival. 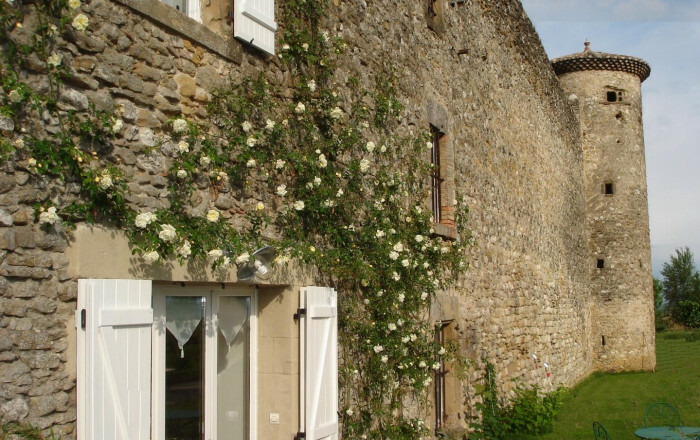 For over 25 years, Gîtes de France® Drôme offers accommodation in rural area and in harmony with nature. EpiVert is a voluntary qualification awarded on a referential basis by various service providers and tourism deciders in the Drôme.